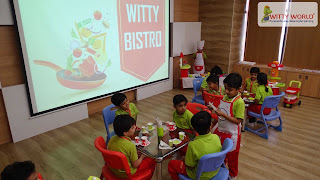 We all go to hotels, restaurants for a lunch or a dinner. 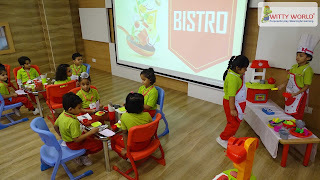 We know who serves us the food over there and who all are there to serve us. 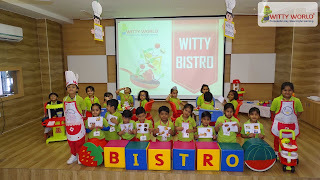 So to make kids aware of all about the persons who help us in restaurant. 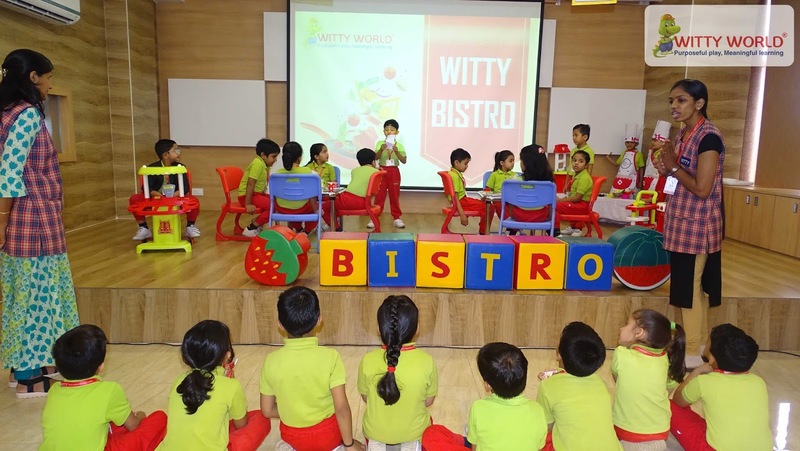 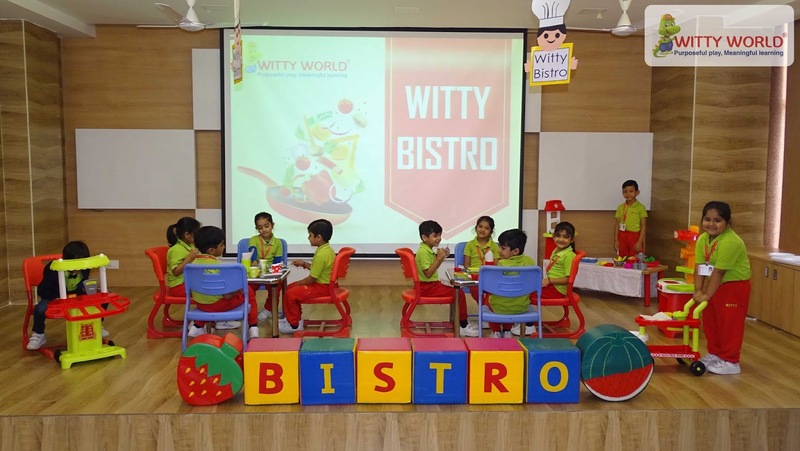 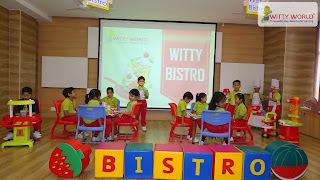 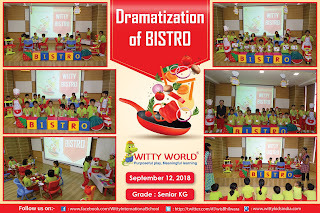 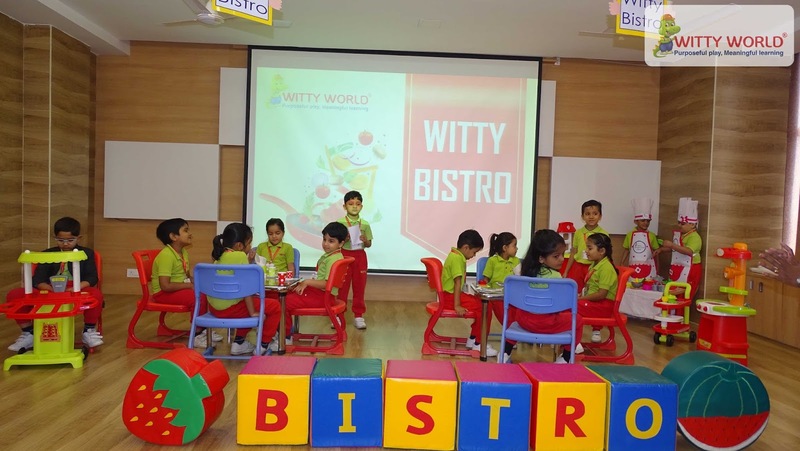 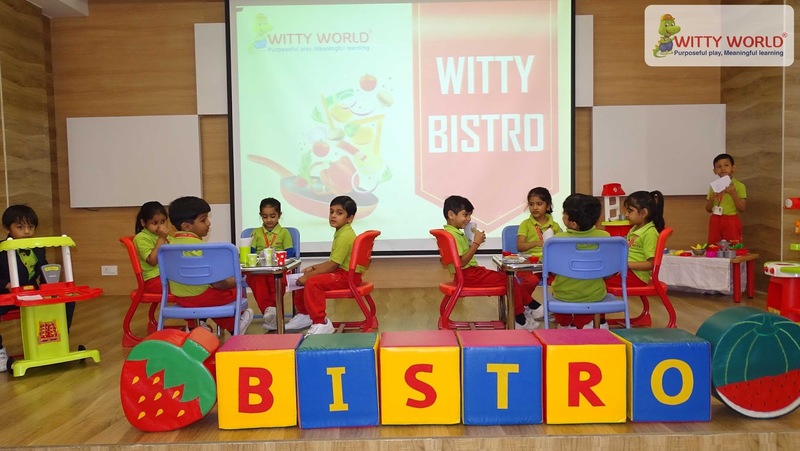 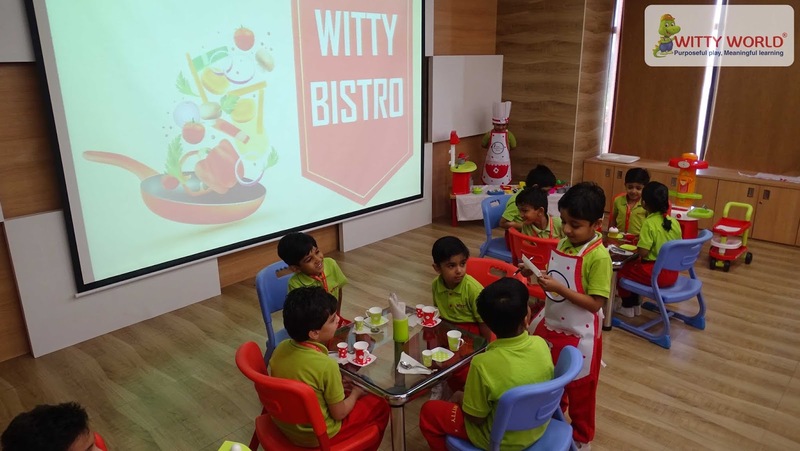 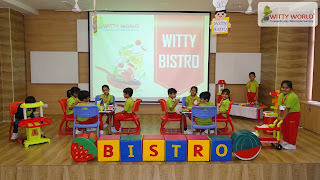 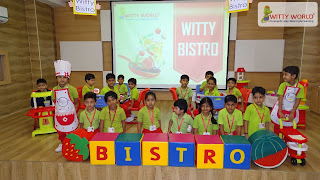 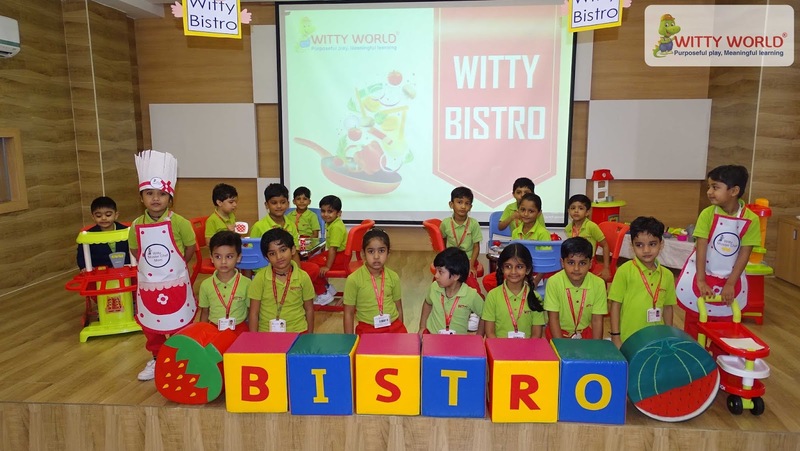 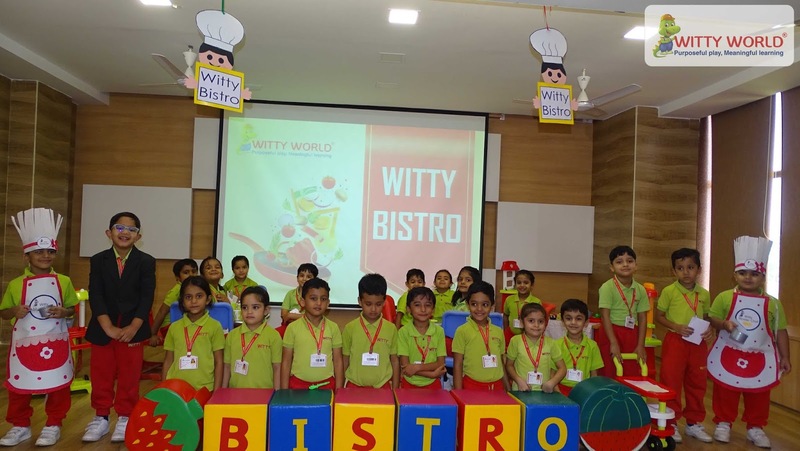 Witty World organized the set up of bistro in the campus on Wednesday, September 12’ 2018 where teacher explained the concept by what chef is doing, where they pay their bills and who serves them food. 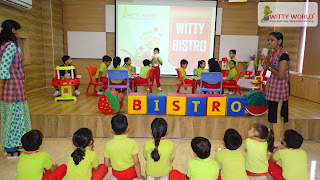 Children enacted the roles of chef, manager, customers, etc. 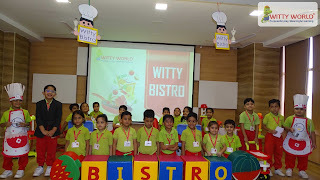 Children enjoyed the concept.